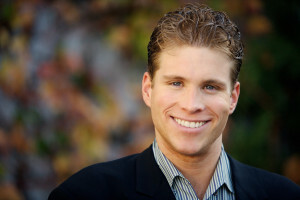 Joe Lonsdale ’04, co-founder of Palantir and founding partner of venture capital fund Formation 8, has been accused of gender violence, sexual assault, sexual harassment and several other charges by plaintiff Elise Clougherty ’13 in a lawsuit filed on Jan. 27. Clougherty was an undergraduate when she first met Lonsdale, and the two began an allegedly abusive relationship in February 2012. Clougherty took a class called High Technology Entrepreneurship in January 2012, and according to the lawsuit, Lonsdale, who had volunteered as a mentor for the class, “used his position of power…to initiate an intimate relationship with Ms. Clougherty.” The lawsuit also alleged that Lonsdale then leveraged his friendship with the course’s professor in order to have Clougherty re-assigned as his mentee. According to the lawsuit, Clougherty and Lonsdale were first introduced over email in 2011 as a result of Clougherty’s interest in technology entrepreneurship. During their first meeting, Lonsdale allegedly stroked Clougherty’s face and hair and leaned in to kiss her before she walked away. The lawsuit claimed that Lonsdale raped Clougherty several times while serving as her mentor and later hired her as an intern for Formation 8 in May 2012 in order to remain close to her. He allegedly continued to force himself upon Clougherty over the following months, and his interspersed moments of loving behavior caused Clougherty to become “powerfully attached” to Lonsdale. After Lonsdale’s actions grew even more abusive, Clougherty and her mother reported Lonsdale’s actions to Stanford in February 2013, according to the lawsuit. After an investigation of Clougherty’s allegations, the University banned Lonsdale from campus for a minimum of 10 years under its Title IX policy. According to Stanford spokeswoman Lisa Lapin, the University cannot comment on the case without a FERPA waiver from Clougherty or her counsel. In March 2013 Clougherty took a doctor-prescribed medical leave from Stanford and was later diagnosed with post-traumatic stress disorder. The University allowed Clougherty to complete her degree from home, and she graduated on time in June 2013. “Our client is no longer intimidated by Mr. Lonsdale and his threats, nor is she intimidated by his crafted PR statement,” Clougherty’s counsel wrote in a statement to TechCrunch. Lonsdale has denied all claims against him and is preparing to file a countersuit for defamation. “The lawsuit is a vile collection of lies and a transparent attempt to destroy the reputation and good name of Joe Lonsdale,” wrote Lonsdale’s lawyer, Kristen Dumont, to TechCrunch. In his statement, Lonsdale also published several loving emails from Clougherty and linked to an affidavit from a third party who had allegedly been close to Clougherty. “She was with Joe for a long time and never said he was abusive in any way when they were together, and nothing I observed suggested the relationship was anything other than ‘normal’ and loving,” wrote the friend. According to Lonsdale, after Clougherty’s complaints Stanford first found that their relationship was consensual and initially only asked that he disclose its existence to the University. However, Lonsdale claimed that after further pressure from Clougherty and her mother, Stanford conducted another investigation during which the allegations were kept secret. “The University never spoke to key witnesses with direct, personal knowledge, whose testimony would further prove she was lying,” he added. During his time as a student at Stanford, Lonsdale was the Editor in Chief of the Stanford Review, and he founded Palantir in the same year he graduated in 2004. Lonsdale faces counts of sexual battery, sexual assault, domestic violence, gender violence, sexual harassment, intentional infliction of emotional distress and negligent infliction of emotional distress. The civil lawsuit also includes a charge of negligent retention and supervision against Formation 8.